Heads up! Search is changing again, and the pillar page is the new star. What is a pillar page? To make it simple, the pillar page formalizes best practices in organizing content that have been in play for years. It serves as a central page that unites the topics of your content into a single theme. You could think of a pillar page as a long-form topic guide that then allows the newly arrived user to go straight to the subtopic of their choice. So, for example, a pillar page that addresses digital marketing may lead to subpages addressing email marketing and content marketing. Now, if this sounds familiar, you’re not wrong! A concept very similar to pillar pages has been kicking around for a while now. You might have heard the concept discussed in the context of “content silos” or other names. Nowadays, though, big changes in SEO strategy have made pillar pages even more important. What are the SEO advantages of pillar pages? They feed Google’s need for long text content, helping the page itself rank higher. They provide a better user experience because visitors can find what they need fast. They make it much easier for you to organize and expand your content internally. They serve as the perfect resource to present to webmasters when link building. If you look for examples of pillar pages today, you’ll find two important things. First, most pillar page examples come from digital marketing agencies, especially those using HubSpot’s content marketing methodology. That means more and more clients will start using this approach. Second, when pillar pages are adopted by B2B businesses, they make a major SEO difference. Whether you’ve seen pillar pages out there in the wild or not, they’re already reshaping how SEO is done. As with any new SEO skills, though, there’s always a learning curve. So, how can you make great pillar pages for your site? Let’s take a look at the big picture first, then check out sizzling pillar page examples. How Do You Make a Good Pillar Page? It might sound like all you need to do to make a good pillar page is gather all the content you have about a single topic and slap “introductions” to each piece on one page. In practice, it’s more complex than that! In fact, the central purpose of a pillar page is to answer a question. Its organization simply stems from that user experience goal. Pillar pages are structured to be complete guides to a single, high-level topic. Pillar pages are text heavy and ungated – nothing should be hidden behind a signup form. Pillar pages are linked to the content they lead to and vice versa for easy use. If you dive deep, you might actually hear a distinction made between “resource pillar pages” and “10x content pillar pages.” Although it sounds fancy, the main difference is that resource pillar pages include gating (with things like signup forms) while 10x content pillar pages don’t. In effect, 10x content pillar pages mean “no strings attached,” which is best for SEO visibility. You don’t have to worry as much about target keywords when you’re dealing with pillar pages. Pillar pages are topical, so you’ll capture organic search simply by using permutations of phrases that explain what problems your content will help users address. HubSpot is one of the leaders when it comes to top content marketing trends. It’s always a good idea to start with them, and they don’t disappoint with their productivity apps pillar page. Not surprisingly, it’s a great introduction to how pillar pages should work. Clocking in at 12 pages and a whopping 4,700 words, you’d expect it to cater to the needs of a wide range of audiences. Sure enough, it’s able to cover a number of key subtopics including time management, workplace, note-taking, and much more. That means it serves as a single, comprehensive resource ideal for users and Google alike. Notice that, although there’s only one CTA within the main text, HubSpot’s guide called How to Be More Productive is promoted both within the main header and in a widget window crawling down the right side of the page. You don’t have to read any text to know what the offer is. 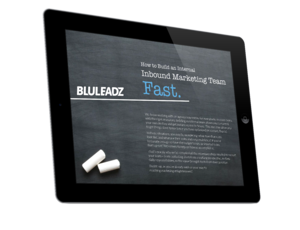 The HubSpot team can dare to sprinkle a few more CTAs throughout the main page text here. A pillar page needs to put users and content first to be trusted, but it’s also okay to have things like shareable social quotes and exit intent lightboxes to increase engagement. Population Healthier is an initiative of The Atlantic magazine that helps to stretch the boundaries of how pillar pages can be designed. It goes to show that the page can be both data centered and creative in its presentation, ideas that are easy to lose sight of in text-heavy content. Population Healthier is an interesting example of how a pillar page can become a large strategic project. Experts from Aetna Health were called in to provide guidance and assistance with the data and on how to display it. Both companies get SEO benefits, and readers get insightful content. Although there is a nav menu at the top, it could do better signaling the content in each section. Many users prefer a long page that hints at the total amount of content to an “infinite scrolling” page – and infinite scrolling can also have negative SEO consequences if used incorrectly. Most pillar pages will have tons of text, but we all know that content doesn’t succeed on its text alone. There has to be a level of visual interest to hold attention – and it also needs to fit into the overall SEO strategy on a technical level. Acquiring Customers with Email does a stellar job in these areas. Everything about this pillar page demonstrates the authors have a deep understanding of their target audience and pain points. While the content is interesting (and useful! ), it’s the little details that show they set out to create a definitive resource, not just another piece of linkbait. Although the content is text heavy, great illustrations pop out to keep the eye moving. The typography is friendly, with clear headers, drop-quotes, emphasis boxes, and more. There’s lots of linking to other internal resources as well as to authoritative outside sites. The layout is responsive and adapts easily to any display, including mobile displays. Some of the external resources have the potential to distract or even confuse a casual reader. Wikipedia links are the big culprit here. Unless you’re linking directly to a pillar page partner, it’s usually best to leave enticing external links out or reproduce similar resources on your own site. Of course, all content has to be useful to a specific reader at a specific time. The tone, depth, and helpfulness of content are all major factors in whether your pillar page achieves its goals. JJS Manufacturing provides an outstanding example with its page on outsourcing. The outsourcing your electronics pillar page is clearly an ebook that was translated into a web format. Still, it works because it conveys the authority of the brand and walks the reader through an entire sophisticated process – evaluating, planning, and implementing outsourcing. The depth and breadth of coverage shores up the brand’s credentials as a thought leader and makes it easier for B2B decision makers in the space to imagine getting great value. The process is mapped out from the start, the content is well organized, and the CTAs are striking. Let’s face it: Even in today’s visual culture, useful content is driven by text. The JJS text shines, but there are a lot of places where an illustration is just what the content doctor ordered. That’s especially true when discussing complex projects or using data to shore up the USP. As mentioned above, HubSpot is one of the best leaders in all things digital marketing. Their guide on chatbots is another excellent pillar page they recently released. The flow of the scrolling experience is seamless and fun for the reader. Plus, the text-to-visuals ratio within the content is great. Images, embedded videos, and gifs break up the blocks of text really well, making it a breeze to read. But most notably, it takes a fun storytelling approach to educate readers on the value chatbots deliver in marketing. The theme is reminiscent of a comic book or graphic novel that takes place in the future. Just like the productivity apps guide included on this list, this pillar page could use some CTAs to encourage readers to download relevant offers. This way, they can download additional resources to read at their leisure. Yes, we are patting ourselves on the back for this one. Our most recent pillar page, The Content Marketer's Ultimate Guide to Search Engine Optimization, wins us over for the simplicity of the overall user experience. The design flows well together without overloading the reader with too much rich media. Visitors can focus on the most important part of this pillar page – the content itself. It acts as a great resource for marketers of all levels, novices and experts alike, walking them through SEO strategy, planning, tools, and more. We should consider adding relevant CTAs within the body of the pillar page. There are plenty of content offers that could be beneficial for readers of this pillar page, like an editorial calendar template or goal setting worksheets. These relevant content offers would add even more value for our readers and give us an opportunity to generate more leads. Nerds who love Star Wars and customer satisfaction can rejoice! Typeform created this fun, engaging guide to NPS, using Star Wars references and illustrations throughout. The illustrations are incredibly detailed, and some visual elements, like the images of the Darth Vader toy, are interactive, allowing the reader to drag and drop them. Pop culture fun aside, the content is in-depth and dense with important information about the importance of customer satisfaction and how to implement NPS into your business. Plus, the pillar page ends with a relevant CTA, encouraging readers to create their own NPS survey using Typeform's software. The theme is undeniably fun, but for some readers, it may become overly distracting. For example, in The 5 Whys section, there are a few paragraphs exploring Anakin Skywalker’s transformation into Darth Vader. This section isn't as informative as some readers might expect it to be because it doesn't stay focused on the point of the pillar page. If you already have a lot of web content with clear relationships between different questions and customer pain points, it won’t take you long to fashion your own pillar page. Pillar pages don’t have to transform the entire structure of your site: They simply serve as the “missing piece” that brings everything together and takes the results higher. Launching just one pillar page before the end of 2018 can attract a whole new wave of links and shares to your site. You can even use one of your existing ebooks as a template so you can get your pillar page up and running faster. Pillar pages will tower over the rest in 2019! Have a great pillar page example? Just let us know below!